Much of the world's sporting gaze will be centred on the peloton on Saturday July 5, 2014, as the best cyclists in the world leave on the first stage of Le Tour de France – 'Le Grand Depart'. A mere 190 kilometres in total, the cyclists will set off from Leeds and work their way up through the spectacular Yorkshire Dales National Park before circling round and down through a number of picturesque villages on their way to Harrogate. One of the place they will pass through is Masham, headquarters of the iconic Yorkshire brewer Theakstons, and also an excellent place to stay in the brewery's own White Bear hotel. The team at Cool Places decided to pay the area a visit and find out exactly what would be in store for ordinary cyclists thinking of cycling the route, and possibly pausing for a pint of "Old Peculier", a strong dark brew made from local Fuggle hops that should be drunk with care. The green rolling dales are fabulous cycling country, with spectacular scenery and a series of demanding hill climbs for the elite riders and lycra-clad enthusiasts.They're perfect, too, for those just after a leisurely cycle in beautiful countryside, connected by a series of market towns – Hawes, Aysgarth, Middleham and, further north, Muker and Reeth – each of which feature a cosy pub on what is usuallly an attractive market square, often decked by bunting and hanging baskets of flowers. Stone-built, with low ceilings, they could not be more traditional, with names that evoke either royal respect – The Rose and Crown – or for some strange reason colours and large animals –- The White Bear, The Blue Lion. On the day we visited, the sun was shining and tourists and locals were mingling and quaffing pints of various shades. Theakstons is a traditional old family business that dates back to 1827 and believes steadfastly in the values of good beer, good pubs and the sense of community that goes with them. Most of these places also serve great food, which for cyclists is good news. There are some challenging hills in Yorkshire, not least round the Buttertubs Pass – a rollercoaster of a route with thigh-straining, lung-bursting inclines and white-knuckle rides down the other side, and cycling of this nature demands re-fuelling of the highest order. But there are other gentler roads that make cycling holidays in the Yorshire Dales an enjoyable experience as well as an endurance test. For the world's elite, Le Grand Depart might just be a warm-up for the Tour De France. 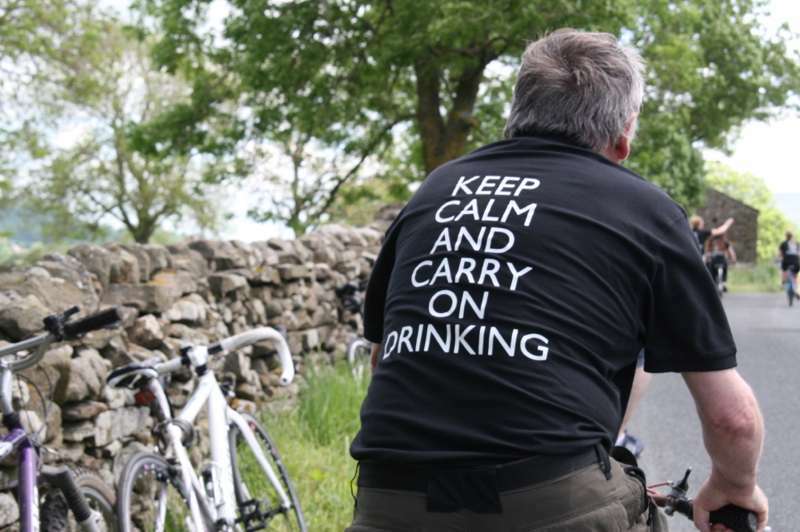 For us mere mortals the Yorkshire Dales offer a chance to cycle at a pace that can be both enjoyable and rewarding. You can see for yourself on the telly in a few weeks time... but why not get there first before the hordes arrive, for what must surely be some of the best leisure cycling in the country? Watch the Cool Places video in association with Theakstons Brewery here.